The Marantz PMD660 is a compact bodied, full-scale digital recorder. It is designed entirely for professionals and includes and XLR microphone input with phantom power and up to 20dB attenuation. 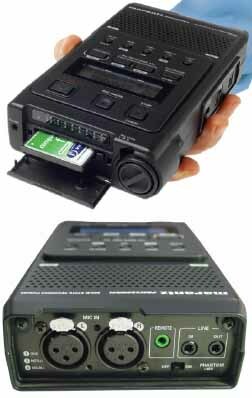 This solid state recorder can record audio files to affordable and widely available Microdrives or CompactFlash cards with just the flip of a switch. Features include non-stop recording with 4 hours of battery life, and an EDL marking system for creating new files on-the-fly during recording for easy file selection during playback.